This partnership between watchmaker F.P.Journe and Lotus will promote the launch of the F.P.Journe lineSport, and marry the shared values of these two companies: Innovation, precision craftsmanship, performance, exclusivity, and lightness through its use of aluminium. When Lotus won the 1965 Indianapolis 500, it was the first time a mid-engined car had triumphed, a layout long-since copied by every other constructor. F.P.Journe is bound to set the same trend in building the first all-aluminium wristwatch. 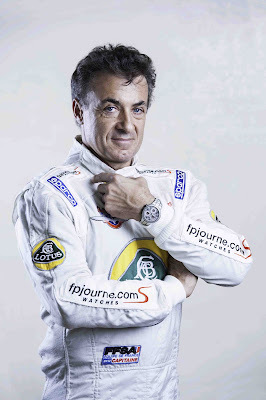 The partnership will also cement the history of two friends from the south of France who met through a love of beautiful technology – Jean Alesi and François-Paul Journe.